“Supporting a missionary gives our members a global perspective,” observed the Rev. Douglas Breite, pastor of Trinity Lutheran Church, Cape Girardeau, Mo. Trinity has been a Together in Mission (TIM) congregation for the last 20 years. 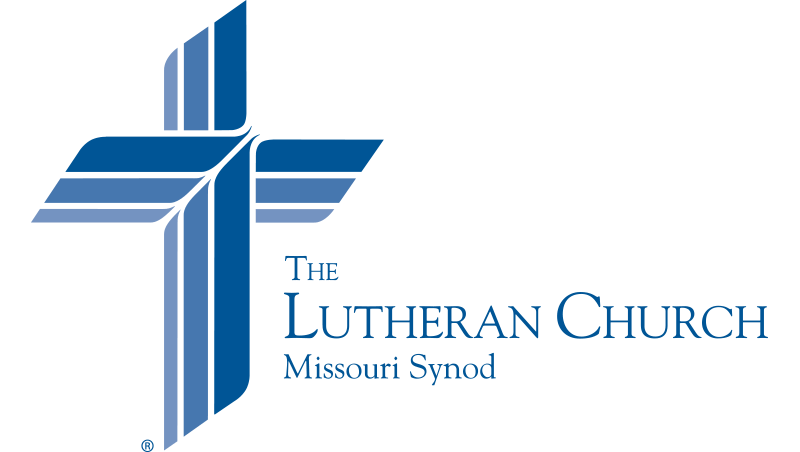 The TIM program links congregations with The Lutheran Church—Missouri Synod’s (LCMS) missionaries to foster a relationship to spread God’s Word both domestically and throughout the world. Congregations involved in the program support one or more missionary families through ongoing pledges of support. The Rev. Micah Glenn, LCMS national missionary to Ferguson, Mo., gives a presentation to supporters at Trinity Lutheran Church, Cape Girardeau, Mo. The LCMS sends missionaries to both foreign and domestic destinations, and Trinity supports one of each. The Rev. Micah Glenn serves in Ferguson, Mo., where he leads outreach to youth and adults, and the Rev. Peter Kolb, based in Hong Kong, serves as the Asia regional chaplain. While some missionaries are sent to plant new Lutheran churches, others support the Gospel proclamation efforts of indigenous Lutheran church bodies. By participating in the TIM program, congregations like Trinity are connected to the global mission of God. Together in Mission is designed to cultivate a partnership between missionaries and congregations, groups and organizations within the LCMS. This relationship proves mutually beneficial in many ways. The congregation has a long history of supporting LCMS missionaries, and it currently supports five. In addition, Winter noted that the congregation also goes on short-term mission trips and seeks opportunities in the community to share the love of Christ. Long-term LCMS missionary Valerie Stonebreaker (left) encourages Vicar Djekoab Yantchiemaen after Bible study at a Lutheran church in Lokpano, Togo. Together in Mission has linked career and long-term missionaries to LCMS congregations and groups since 1982. Often, a TIM congregation makes a one-year renewable commitment to support a missionary family. The congregation, as it is able, can seek to increase this commitment over time as the Lord allows it to fulfill its pledge. This ongoing support helps facilitate the work of missions across the globe and in the United States. Missionaries work in situations in which they cannot earn what is needed for daily bread from those whom they serve. Their support comes from people who are often geographically removed from their work. Yet that support is essential and brings geographically disparate people together in the common work of the Gospel. The missionary benefits from the support to care for his or her family with all that is needed for this body and life. This support allows the missionary to work in the mission field as God has called him, according to His will. TIM congregations also benefit from the relationship developed with the missionaries and their families. Regular communication — through newsletters, social media and occasional Skype calls — helps the congregation stay current with the work taking place on the mission field and the status of the missionary family. When Glenn or Kolb are on home service, Trinity invites them to preach at the Sunday services or to lead a Bible class. Breite said these opportunities allow the members of Trinity to “stay up-to-date on their mission activities” and to reconnect with the people involved in the work. Sarah Kanoy (center), an LCMS career missionary in East Africa since 2015, listens to a patient at the LCMS Mercy Medical Team clinic in Nataparkakono, a village in Turkana, Kenya. In 2013, the Synod in convention set before the LCMS Office of International Mission (OIM) Resolution 1-11, a challenge to double the number of career missionaries. The resultant efforts have been blessed so that over 100 missionaries now serve in various locations. Each deployed missionary returns to the U.S. for a visit every two years. This trip provides the opportunity to visit congregations either to thank current donors or to broaden their base of support, and it also allows them to rest and reconnect with family and friends. Many of the missionaries called and placed as a result of the 2013 resolution are scheduled to return home this summer for this home service. This also is a time for the Synod at-large to renew her commitment to pray for the work of the Kingdom done through missionary families. Daily family and individual as well as corporate prayer is an important component in the church’s support of her missionaries. These missionaries are all able to serve thanks to your support. Congregations are invited to pledge support for the Synod’s missionaries through the Together in Mission giving program (lcms.org/TogetherinMission). Contact Debbie Feenstra at 800-248-1930, Ext. 1651 or debra.feenstra@lcms.org to learn more. Individuals have a similar opportunity through the Mission Senders program (lcms.org/missionsenders). Contact Michelle Beckmann at 800-248-1930, Ext. 1047 or michelle.beckmann@lcms.org to learn more. Mission Central in Iowa (missioncentral.us) helps link Lutherans with opportunities to support missionaries and projects around the world. Contact Gary Thies at 712-882-1029 or gary.thies@lcms.org. God of all creation, the whole universe belongs to You. Teach us to see this world in light of the Gospel of Jesus Christ, that we might trust in Your love for all people. Broaden our horizons, that we, with eyes of faith, might see our neighbors near and far as people for whom our Savior died and rose. Enable us by Your Spirit to live lives of service and support, that all might hear the saving message of the Gospel. In Jesus’ name. Amen. Dr. Kevin Armbrust | Manager of Editorial Services for LCMS Communications.